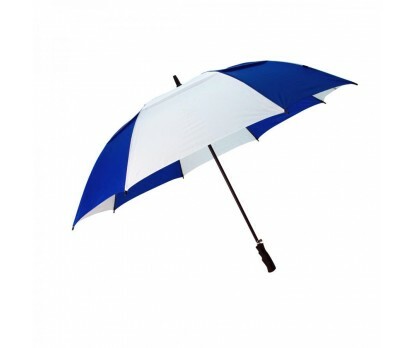 Custom royal blue & white 58” arc vented golf umbrellas are royal and extra protective, too. This combination is very rare and marketers always have to work hard to come up choices as powerful as personalized royal & white 58” arc vented golf umbrellas because it offers them best value for investment. 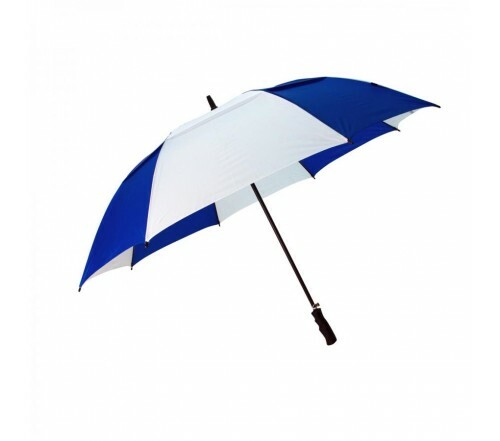 This promotional umbrella features – large and vented royal & white canopy, rubber spray pistol grip handle, nylon sleeves, auto open function , fiberglass shafts and ribs, and windproof duraflex construction. Promotional royal & white 58” arc vented golf umbrellas are largely favored by wedding planners, technologies, and energy distributors who use this color combination more often for branding building than others.